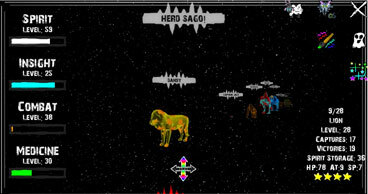 Fight animals and capture their spirits. Play as any animal you capture! Customise your herds spirit colours and stickers. Summon other players spirits from the highscores leaderboard to defeat and recruit their animals! 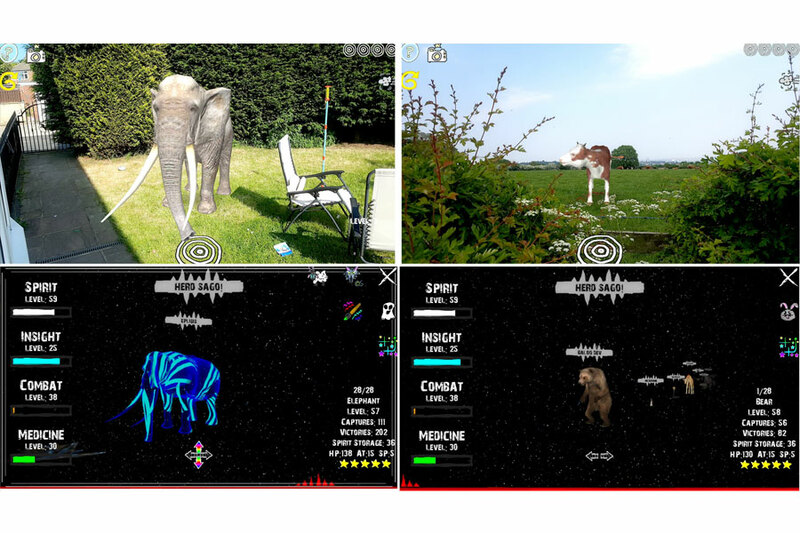 Optional camera mode when catching, allows for fantastic photographs of wild and domestic animals in the real world! Use GPS to move your spirit animal using realtime location. Click paths on the map to spirit walk anywhere around the world, without needing to go outside! 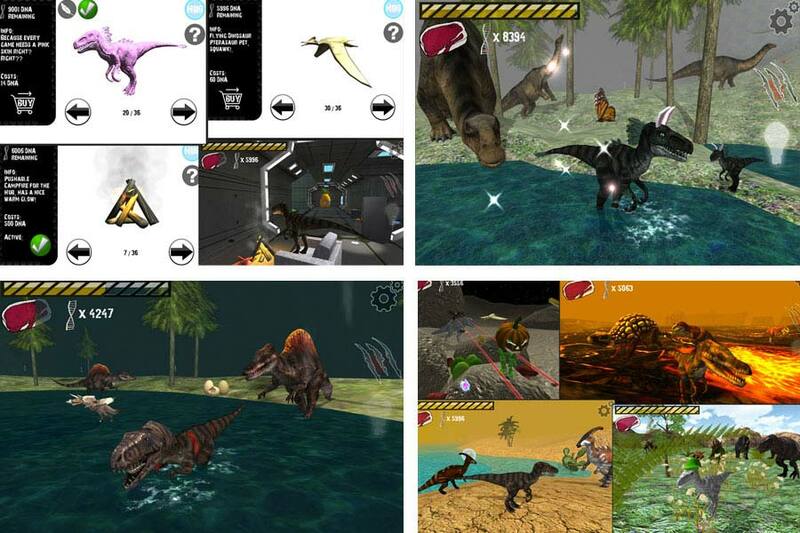 PLAY AS A RAPTOR to explore, hunt and survive in beautiful environments! - NEW FISHING - Chase and catch, eat now or eat later! 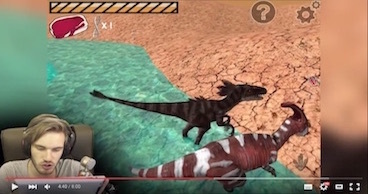 Unlock Secret Hub to play as a SPINOSAURUS, TRICERATOPS and T-REX! DECORATE your Hub (home), unlock PETS, CUSTOMISE COLOURS and HATS! Chat, attack and roleplay with real players around the WORLD! Turn on RAGDOLL MODE to flop, trip and backflip upon colliding! 10 Pets, 9 Decorations, 20 Skins, 12 Heads, 12 species of DINOSAURS! 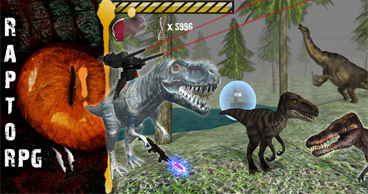 FREE Massive Online Dinosaur Multiplayer! 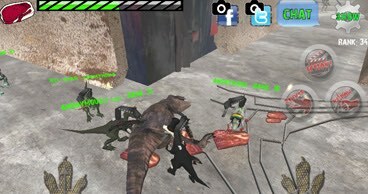 Customise your Raptors then verse other players from anywhere in the world! 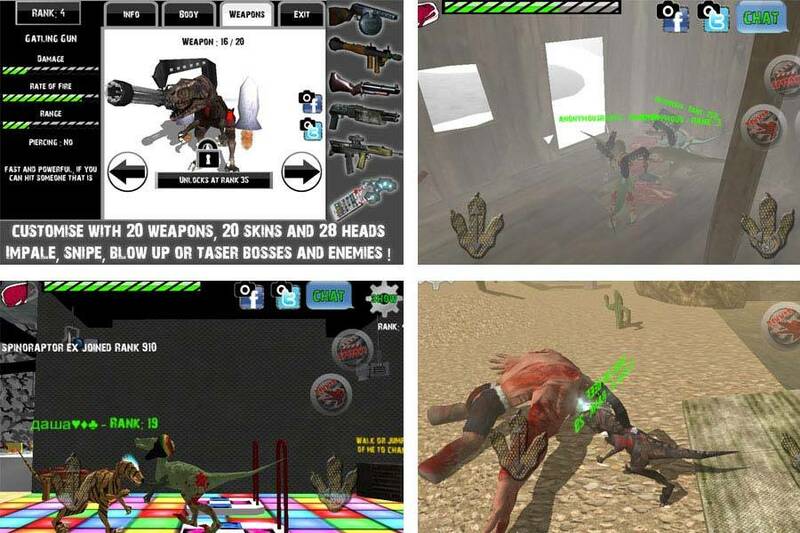 Choose from a multitude of weapons, skins and hats! 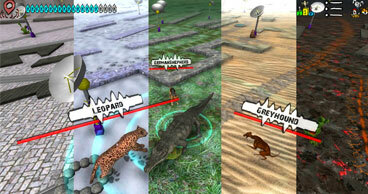 Variety of multiplayer features, such as ping, CHAT, player list and even kicking! 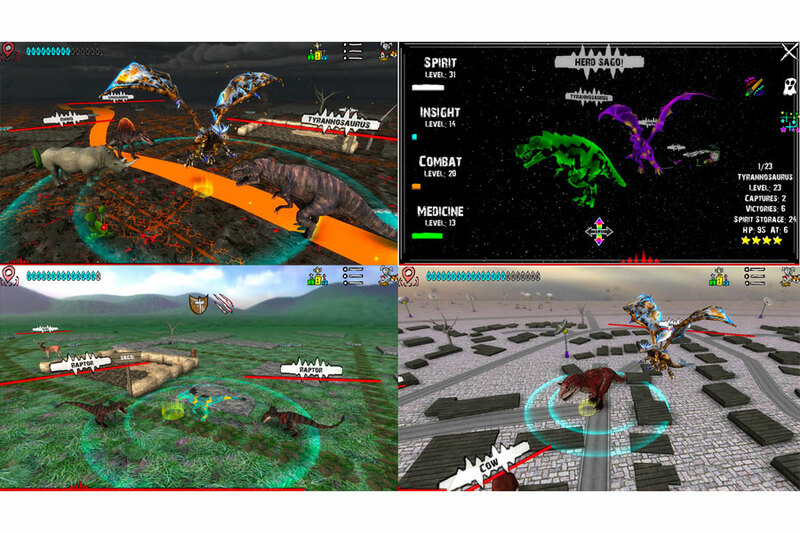 Fight against T-rex, Spinosaurus, a Mutant Hybrid Tank-Triceratops, Carnotaurus, Ankylosaurus, Mecha T-Rex and Sufferers! And now with Jetpacks! Pickup, fly and hover over the battlefields! Fight PVP or join together in BOSS BATTLES! Create your 3D avatar, change its tail, trails, hats, and colors, or use the 'Skin Scanner' to create your own custom Dragon skins! Rank up and increase your stats to make your character faster and stronger! 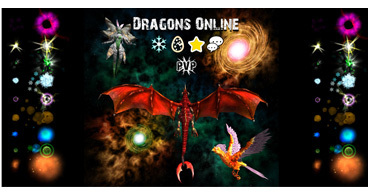 Huge amounts of customisations and options for both the Game and your Dragon. Carry eggs and claim Nests, stand near or shoot them to mark your Territory! Fly through the Air and Run on the Ground in 7 Big Beautiful maps! 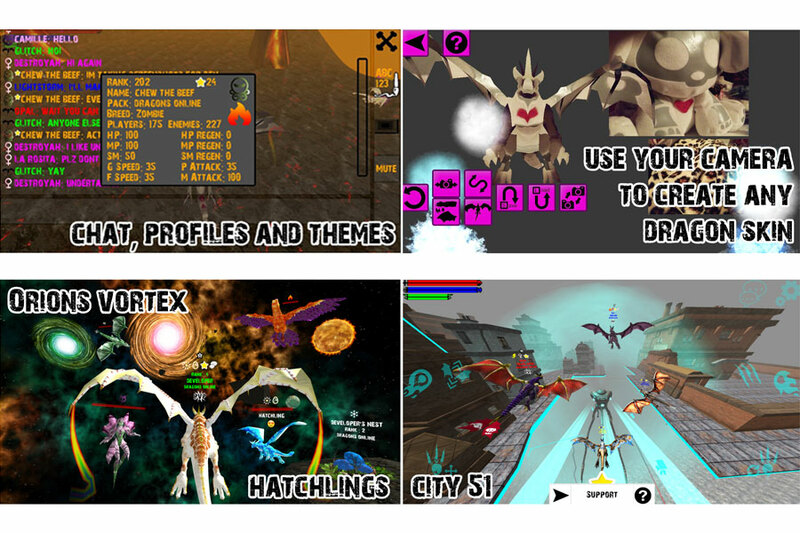 Enemies: Fairy, Dragons, Cave worms, Phoenix, Tripod and other players! Includes in-game chat and NPC's for quests and hatchling editing. New POSE button, paw, neigh and kick whenever and wherever you want too! Crazy customisations can make you look anything from a Donkey to a Flying Unicorn Bat with gold shoes wearing a Wolf mask! Color your horses Shoes, Skin, Mane, Tail trail, Name, Hats, Wings and horse Size ! Dress up with extras like a Butterfly, Dragon wings and Balloons. 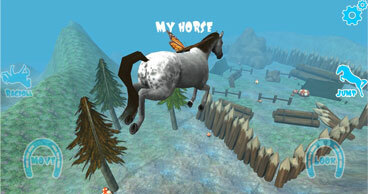 Trot, Canter, Gallop, Jump and Ragdoll around a Big Beautiful map. Explore a beach, ruins, Ice volcano, caves, mountains, forest, campsite, graveyard, picnic, farm, city, boat pier and stonehenge. Push around selected environmental objects by running into them. Press the Ragdoll Physics button to flip, flop and drop! Press it faster to get x1 x2 or x3 Velocity boost ! First Person Camera button lets you see through your horses Eyes, even in Ragdoll and Pose mode ! Activate mods to add extra fun to the game, such as Low Gravity, Horror mode, Snow, Rain and Mega Pushing. Talk to other horses including a Baby Filly, Foal and Colt. Simulate being a Free Roam, Tame or Wild horse. 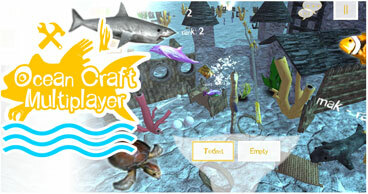 Craft, battle and build underwater as a sea creature online with players around the world! 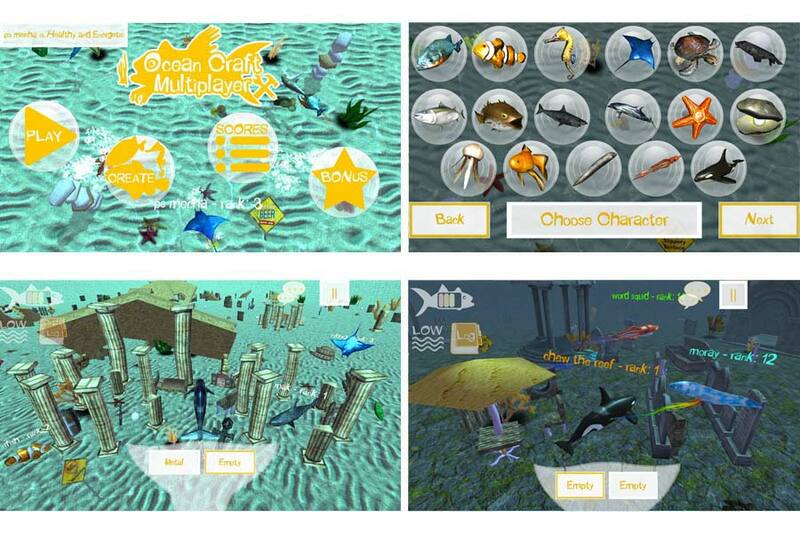 Team up to complete quests and battle enemy Piranha and Sharks for shiny experience coins. Be unique, customise and dress up your characters skin, trail colour and perk. 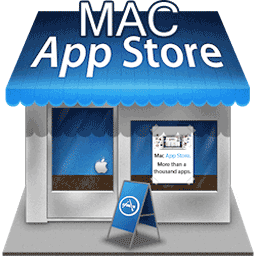 Role play and chat safely in game on this cross platform multiplayer, play with friends on almost any device! 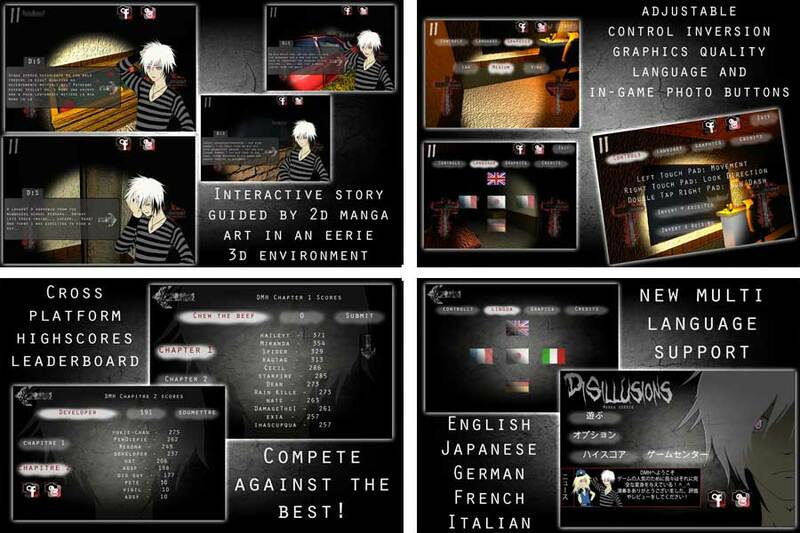 Explore in first person to proceed in the horror story. 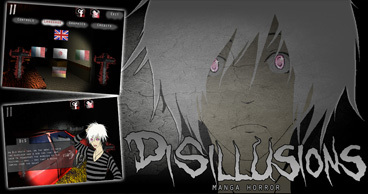 Featuring 2D anime manga style character art and 3D environments. Control two characters, DiS and Sui, see how their story connects. Dark, gritty surroundings and eerie audio effects for atmospheric gameplay. Retro indie horror, with a story to kill for. Sandbox multiplayer, place traps, chat and scare other players! Exploring, trap and chat in all 4 chapters with the multiplayer! 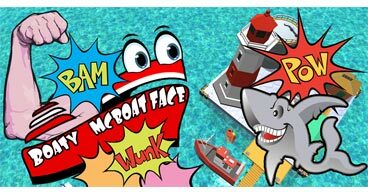 FREE ONE BUTTON boat game! 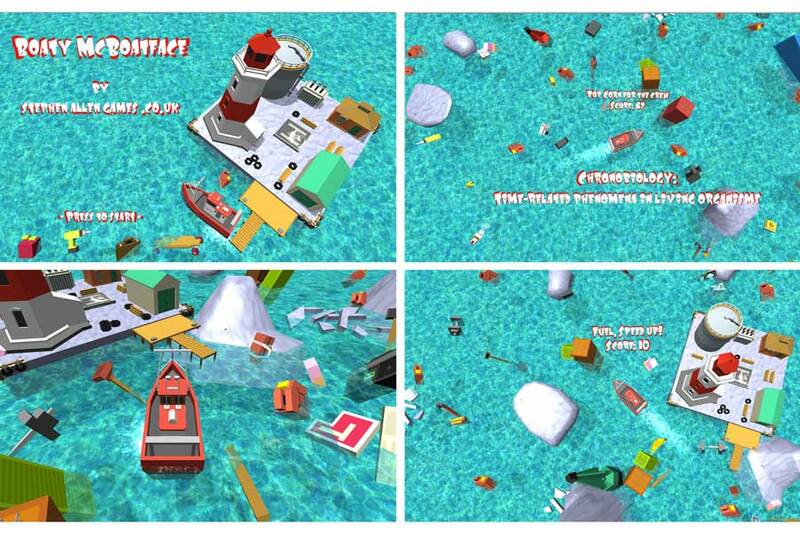 Avoid Sharks & Icebergs, collect SCIENCE ! Control your RRS Ship to collect biology research, food, supplies, fuel and entertainment. Only one button needed to control the whole game, which means its great for kids and families or those that use gamepads, output to TV, use Virtual Reality, or those that want a simple game to pass around with friends. See the Worlds and Developers highest score. Can you beat the Developer? Various games have not been listed either due to being partially finished or will no longer be supported/updated.